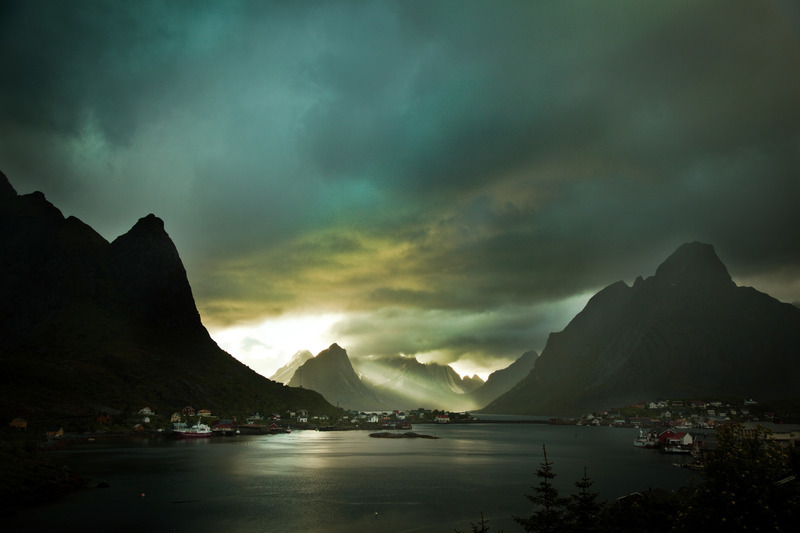 The Lofoten and Vesteralan Islands of northern Norway attract artists and photographers from around the globe. It is easy to see why when a journey from the southern tip of the archipelago to the northern stretch of the Vesteralan islands is without a doubt a passage through endless natural beauty. Jagged peaks, sheltered bays, sandy beaches and the famous red-painted Rorbu fisherman’s cabins offer endless opportunities to admire an untouched and picturesque landscape. The Arctic light adds a unique backdrop to an already stunning view - whether it is the Northern Lights in the Autumn and Winter or the midnight sun in the Summer. This twelve day self-drive holiday is a chance to explore the islands in depth - its people, culture and history. The itinerary is available year round and is completely flexible. The team here at Magnetic North are on hand to tailor the programme to your requirements using our local knowledge and first-hand experience. 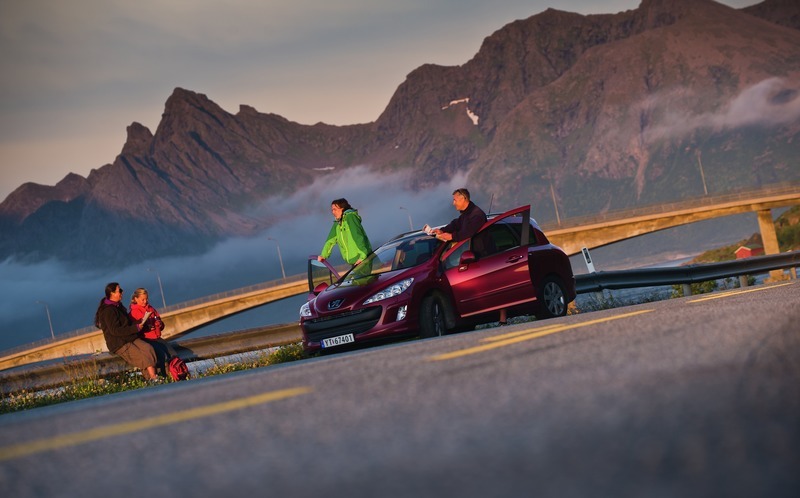 On arrival to Bodo airport, make your way to the car rental centre where you will be able to collect your rental car which will be yours for the next two weeks of your Lofoten adventure. We'll provide directions and maps to help you on your way, but you may also wish to rent a GPS from the station (not included). The car rental will be a compact vehicle (VW Golf or similar). Vehicle upgrades may also be available. Drive to Bodo hotel (30 minutes). Overnight at Scandic Bodo Hotel. 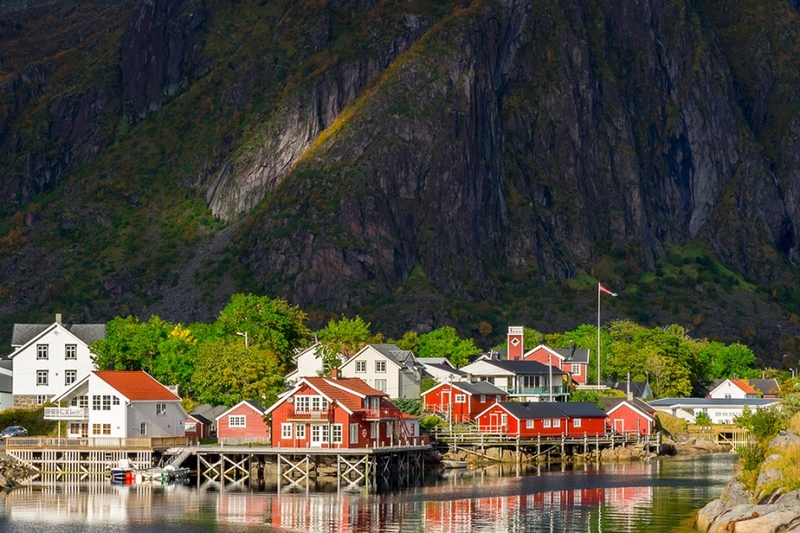 We'll provide you with recommendations of places to eat and visit in Bodo - an Arctic city considered to be the gateway to the Lofoten Islands. After breakfast and a leisurely morning, it is time to drive to the ferry port where you'll board an afternoon departure of the Bodo express ferry to Moskenes. The crossing is just over three hours and arrives to Moskenes at 18:15. 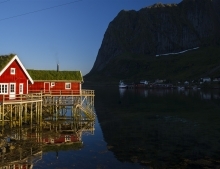 Drive to your first accommodation in Reine (20 minute's drive). 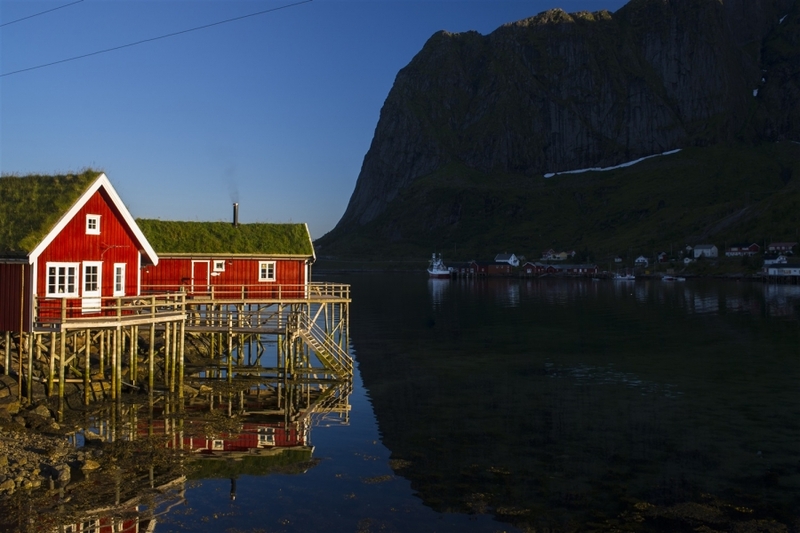 You'll stay for two nights in a traditional fisherman's cabin in Reine, a picturesque fishing village at the mouth of the Reinefjord. Your cabin combines the atmosphere of their former use as fishermen's dwellings with modern comfort. All cabins, or 'Rorbuer' as they are called, have their own fully equipped kitchen for those who want to prepare their own freshly caught fish or other local delicacies. Rest of the day at leisure. 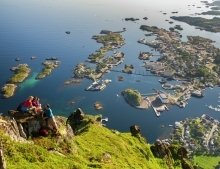 Enjoy the day exploring the southern tip of the Lofoten Islands archipelago. Take your time, and enjoy the kittiwake cliffs, varied landscapes, culture and museums in this area – not forgetting Å’s famous cinnamon swirls. 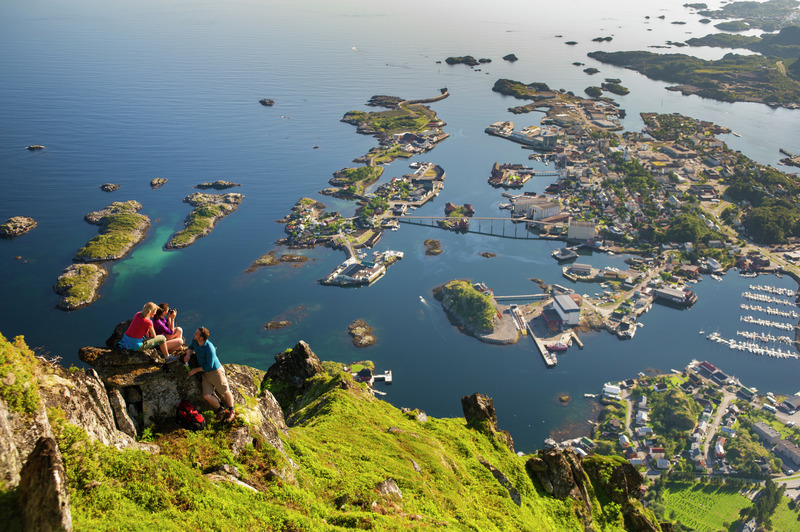 You could take the ferry to the island of Værøy, steeped in culture and a perfect area for hiking. After checking out of your Rorbu cabin, it is time to continue north on the E10 following one of Norway's stunning designated tourist routes. The tourist route is 230km in total and provides a journey amid breathtaking natural surroundings. Admire the views from the Akkarvikodden viewpoint, before heading to Ramberg beach - a perfect white sandy cove. 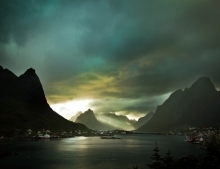 Your day will conclude in the traditional fishing village of Nusfjord where you’ll stay overnight. The fishing hamlet of Nusfjord is a perfectly restored village celebrating its long history of cod fishing or “Lofotfiske” as it is known locally. The distinctive yellow and red Rorbu cabins face the sea protected by the sheltered bay created by the steep surrounding mountains. Glimpse into the industrial past by viewing the boathouses, cod-liver oil refinery, old-fashioned shop, smithy and sawmill - all lovingly maintained. 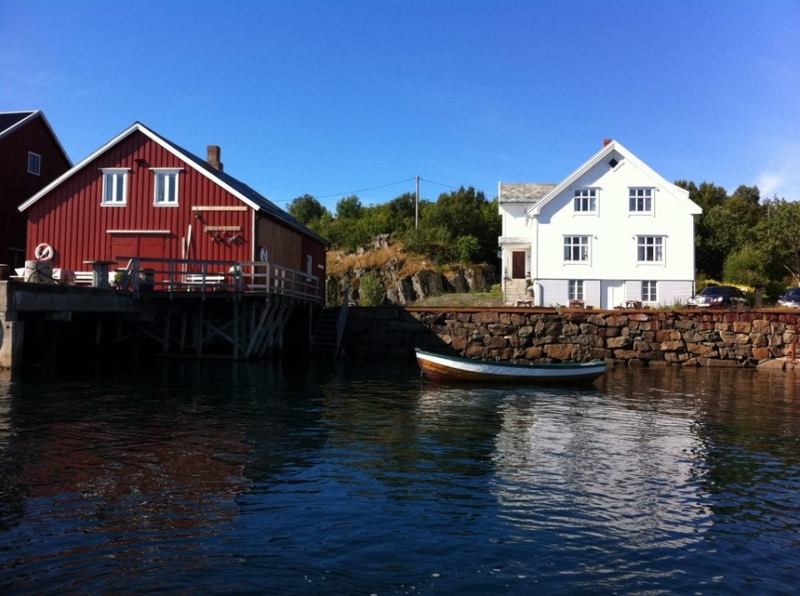 Nusfjord is a great spot for catching cod, halibut and haddock, amongst others. You’ll stay overnight in a high standard Rorbu cabin. Enjoy a final wander around Nusfjord before returning to the E10 and making your way north. Make an optional stop at Leknes or one of the bird-viewing stations if you would like to spot local wildlife. Take a detour to the tiny Eggum village and see another of Nordland Artscape’s sculptures. 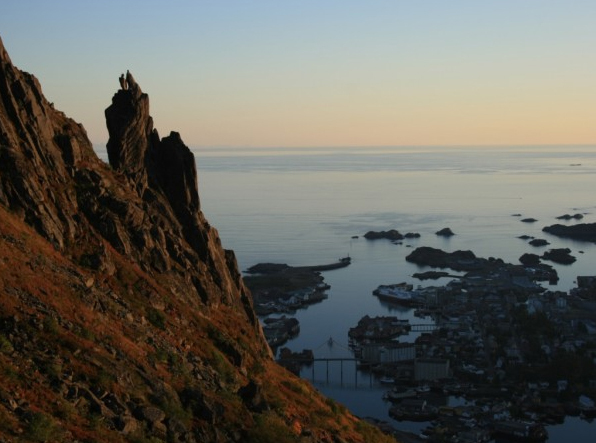 This is a beautiful hiking area, and a popular place to see the midnight sun. Visit the Viking Museum at Borg, and see Europe’s biggest chieftain’s house. 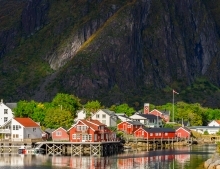 Your final stop of the day is the village of Svolvaer with its own sea-facing Rorbu cabins, drying racks, lovely harbour, galleries and arts and crafts shops. 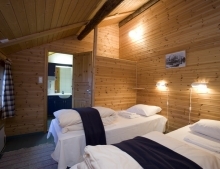 You'll stay for two nights in a Rorbu cabin where you can relax at your own pace. Today you can leave the car in the car park and enjoy the day at leisure, or why not join a guided excursion such as a wildlife sea safari, guided hike, sea-kayak or maybe a round of midnight sun golf (not included). We'd be happy to recommend some options for you to customize your stay. After leaving Svolvaer you will be heading to Sortland ending your stay in the Lofoten Islands and beginning a new adventure in the Vesteralan Islands. Bridges connect the islands together - the Vesteralan Islands are often considered to be as beautiful as the Lofoten Islands, only quieter. White beaches, perfectly sculptured mountain tops and endless sea views take your breath away. Small museums and galleries celebrate the fishing and fisheries culture and heritage while newly established centres of interest concentrate on modern day industries such as aquaculture and space travel. Overnight in Sortland Hotel. Today you'll have several options open to you. Sortland is located in heart of the Vesteralan Islands meaning that there are a mix of driving routes nearby. You may also wish to visit some of the local museums and attractions in Sortland. 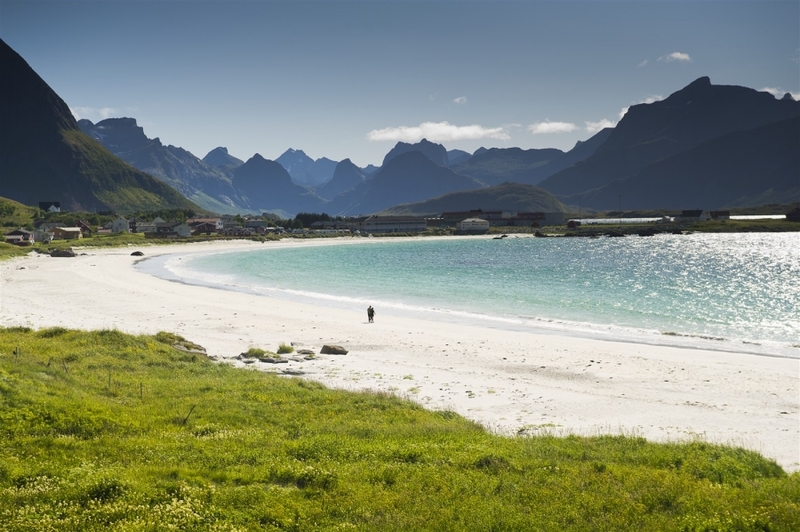 If you'd like to go whale watching, you can join a tour departing from Andenes - a drive of 1.5 hours from Sortland and also a chance to experience another of Norway's stunning national tourist routes on the island of Andoy. Here you'll find pristine beaches, wildlife in abundance and jagged peaks. Overnight at Sortland. After breakfast, depart for the western tip of the islands were you'll spend three relaxing days in a wonderful guesthouse overlooking the sea. It's time to put your feet up and enjoy a peaceful setting in a family-run guesthouse. 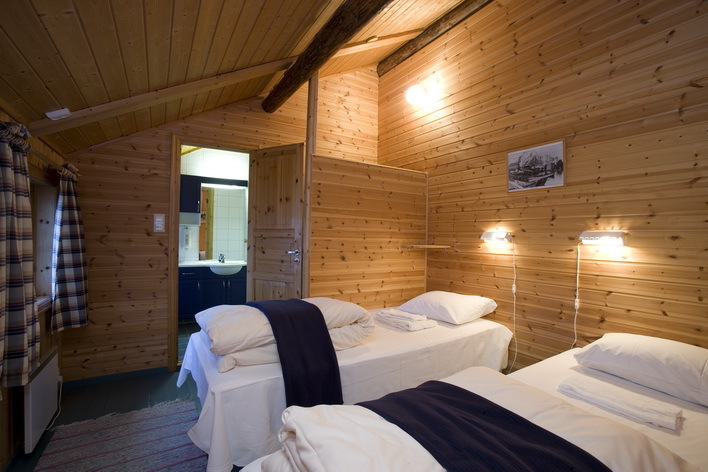 The accommodation has 8 charming rooms and a small restaurant serving home cooked local food. The guesthouse is in a converted post house and offers bicycles and rowing boats for hire. There are also some fantastic hiking trails nearby. Day at leisure to relax and enjoy this quiet coastal retreat. 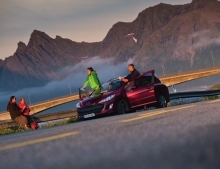 This morning you'll drive to Evenes Airport where you'll return your rental car. You may choose to continue your journey for additional days. Oslo is only a short flight away and is a good destination to spend a few days relaxing and shopping. You may also wish to consider combining this trip with a memorable voyage onboard the Norwegian Coastal Express - the Hurtigruten. 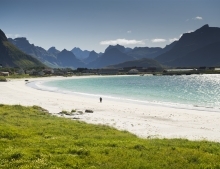 We would be more than happy to provide you with inspiration on tailoring your holiday in the Lofoten and Vesteralan Islands to suit your requirements. Important: In order to return your car to a more convenient location, there is an additional one way fee of approximately NOK 3375.0 + TAX that is payable to the supplier when you collect the car. It is possible to avoid this fee by returning the car to the pick up station. We can advise you on a round trip itinerary if you prefer this option. We had a lovely holiday and thank you for all your input and help. The weather for the first few days was a little disappointing but after that things rapidly improved and we were able to see the islands at their best. The scenery was truly amazing but what really surprised us was the peace and quietness of the places we visited. We enjoyed all the varied accommodation and were particularly surprised when we opened the door of our Rorbu in Nusfjord! Certainly the highlight for us was Skagakaia, our room was delightful, the situation made us feel we were at the end of the world and Lone looked after us superbly. The food was delicious and we particularly appreciated her advice about walks in the area. We took you up on your advice to go to the Viking Museum and the glass blowing workshop and very much enjoyed both on 2 very wet days! We did two very nice coastal walks one at Eggum and the other at Sto - part of Queen Sonja's walk. We also did the rib trip to Trollfjord which was great especially the sea eagles which we continued to see regularly for the final part of our trip - very exciting! Thank you so much for all your help and guidance. by Margaret and Roger, Worcester on Sep 01 .